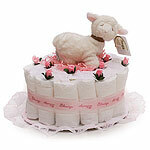 Beautiful, handmade Diaper cake! 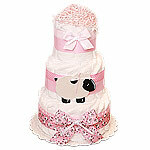 If you are going to visit a new baby at home diaper cake is a great gift. 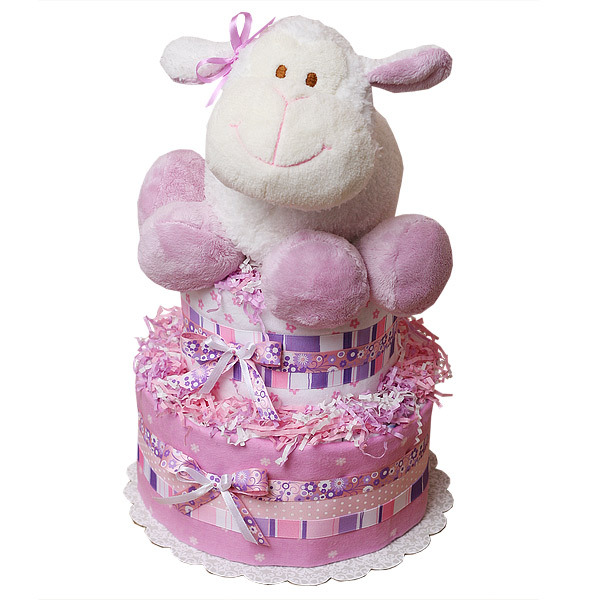 This cake made of 30-35 Huggies diapers size 1-2 (7-15 lbs) and a cute plush Sheep on top; Two flannel receiving blankets 100% Cotton. Decorated with lots of ribbons, bows, pins and paper shred. The diapers are held together by ribbons no glue on diapers.